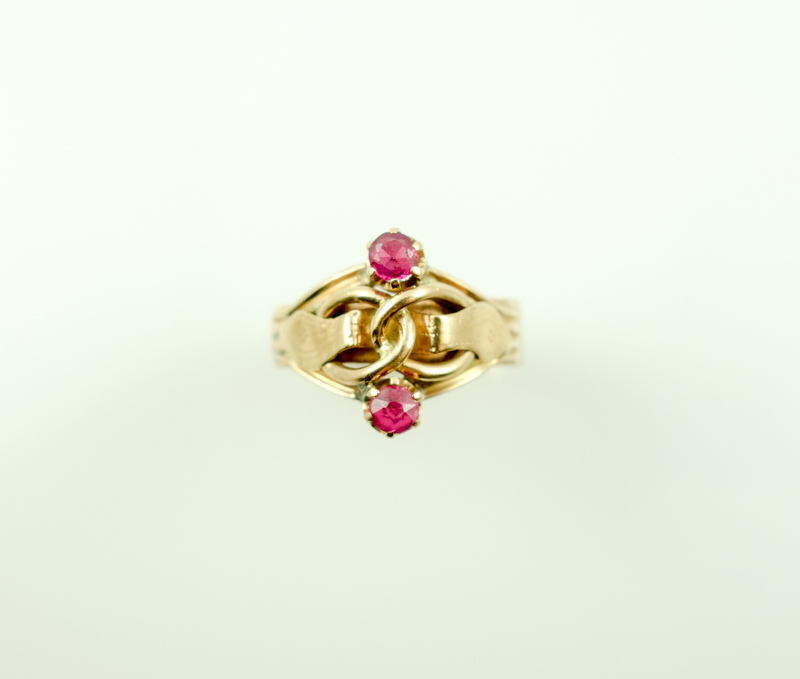 An antique French ruby Art Nouveau ring c1900 in 18ct yellow gold. 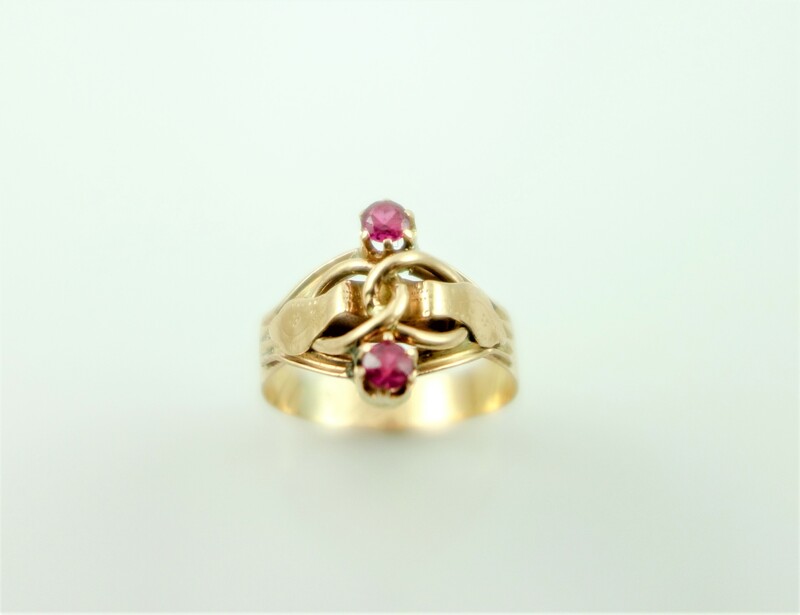 Note the buckle-like twist to the centre and two bright, well-matched rubies. French hallmark to the outer band. 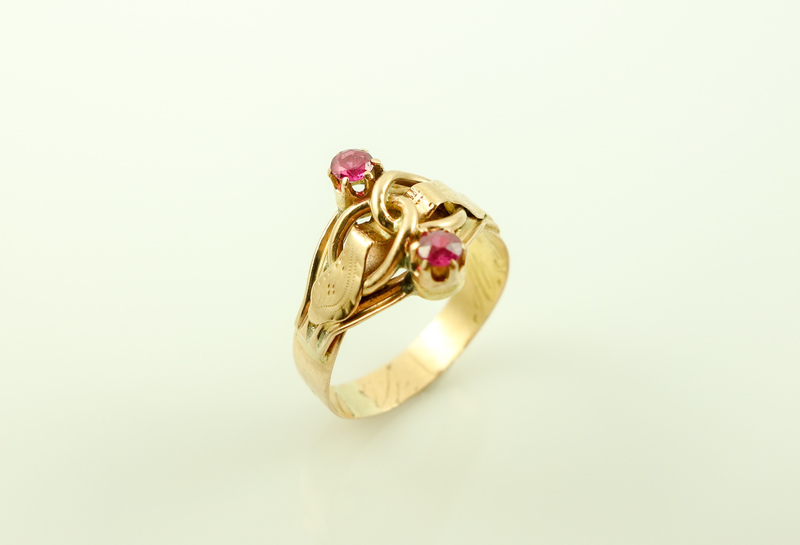 Currently a size Q, this ring can be sized to fit any finger and would make a lovely dress ring.